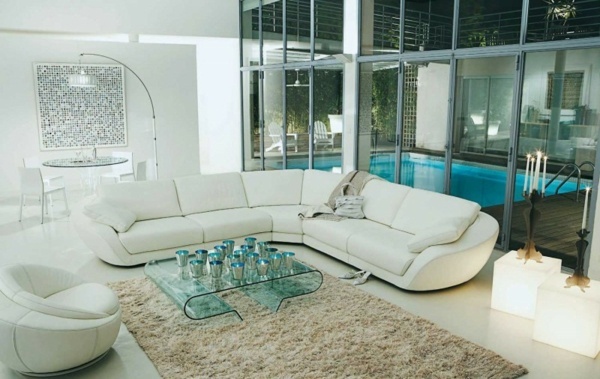 If you are looking for luxurious living room furniture and for fresh ideas, then you will surely be inspired by the photos below. 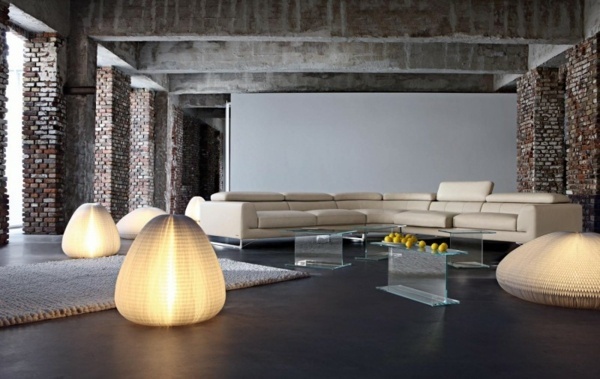 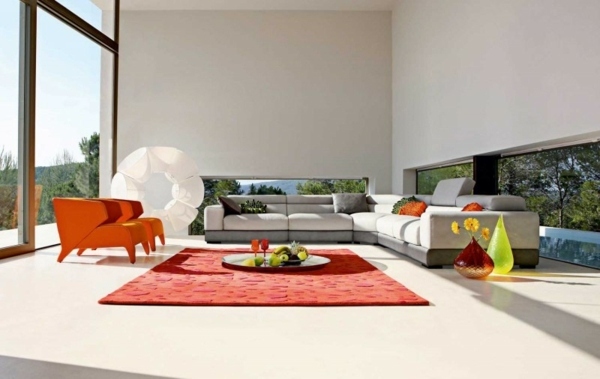 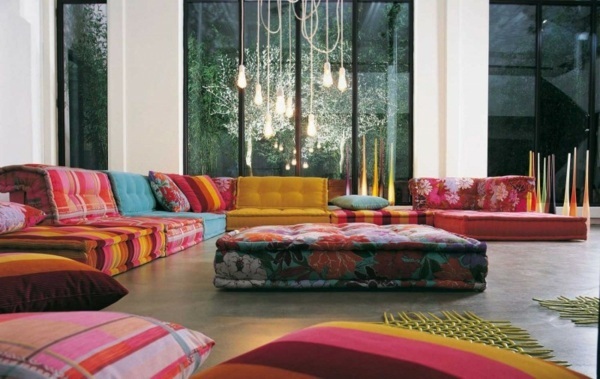 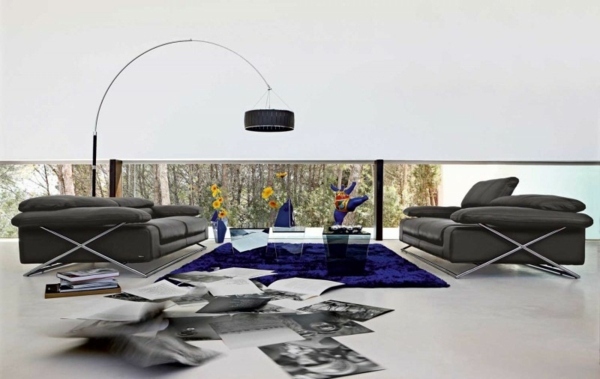 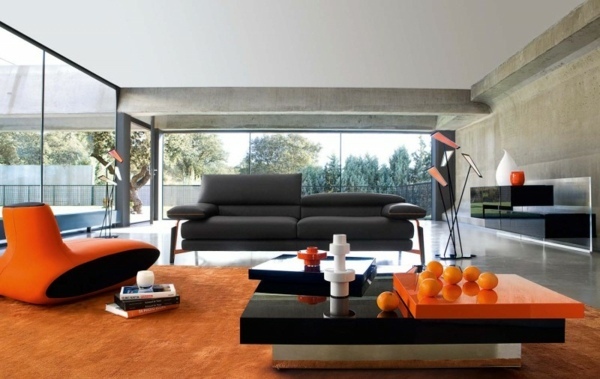 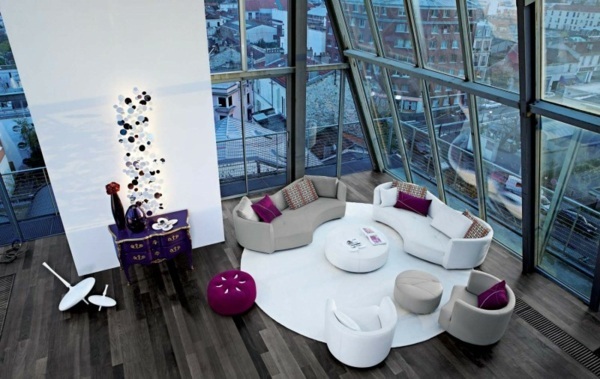 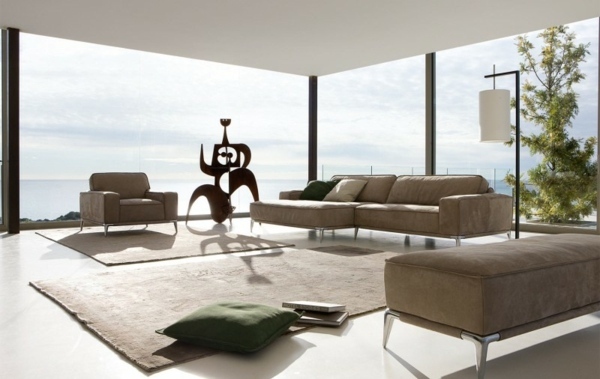 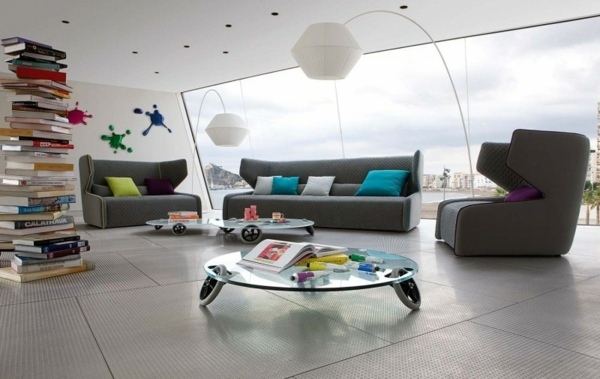 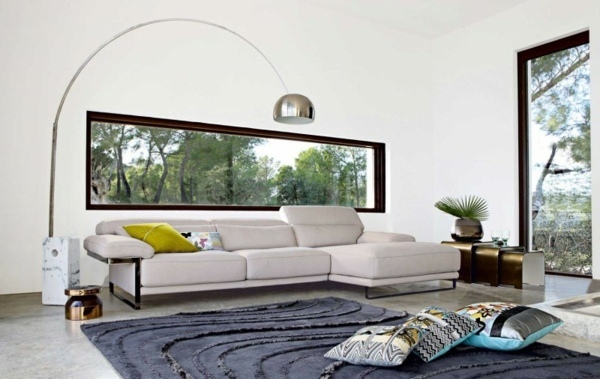 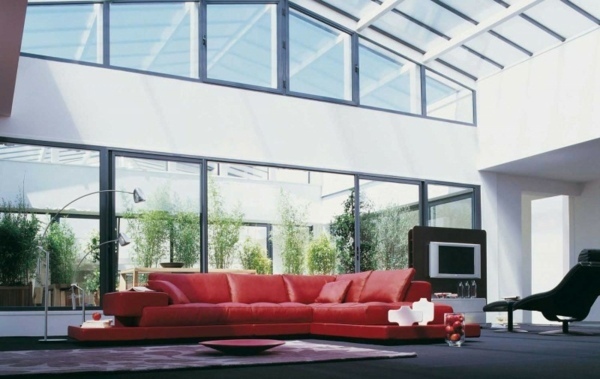 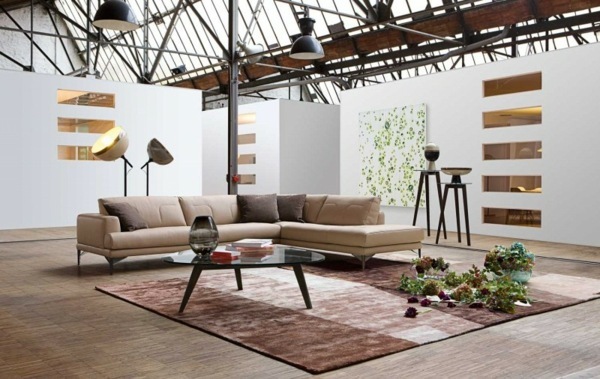 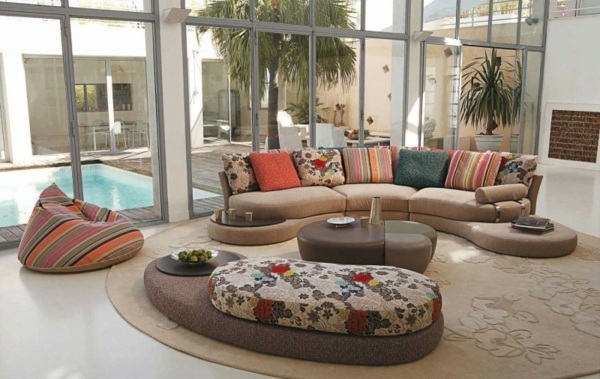 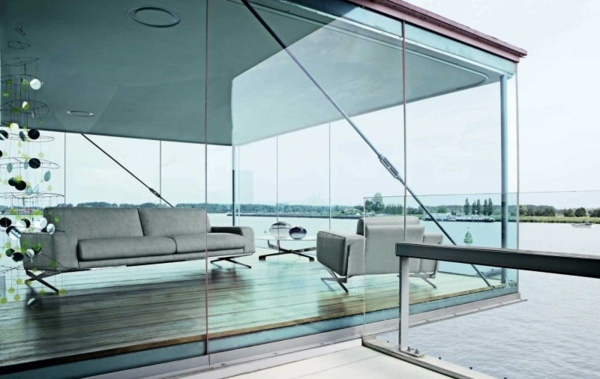 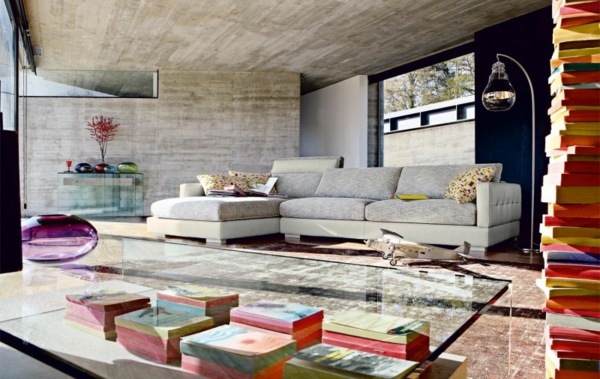 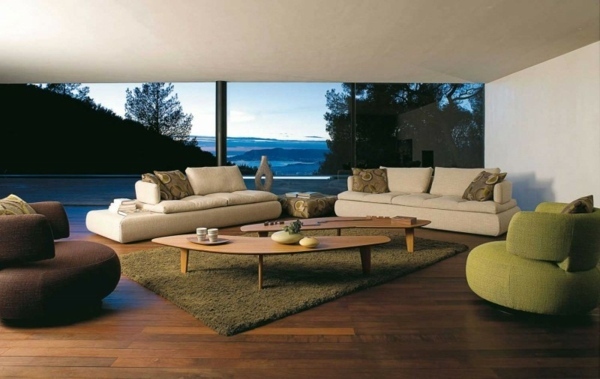 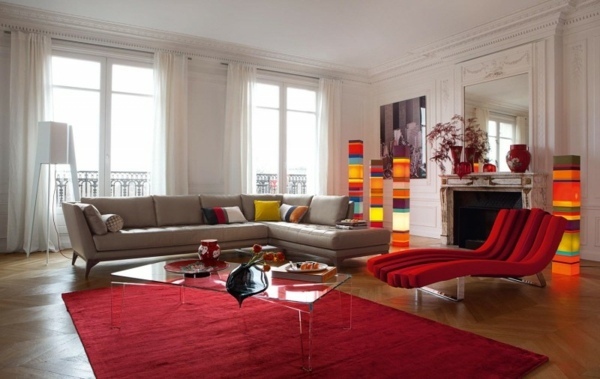 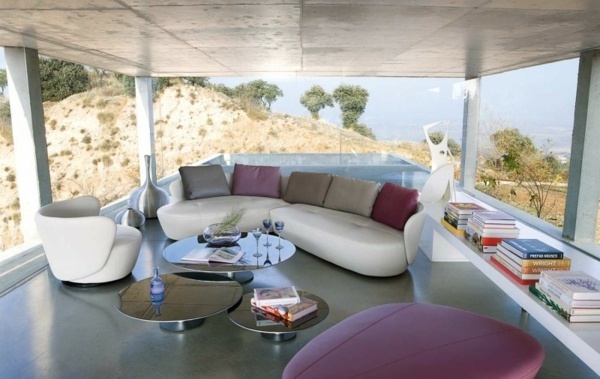 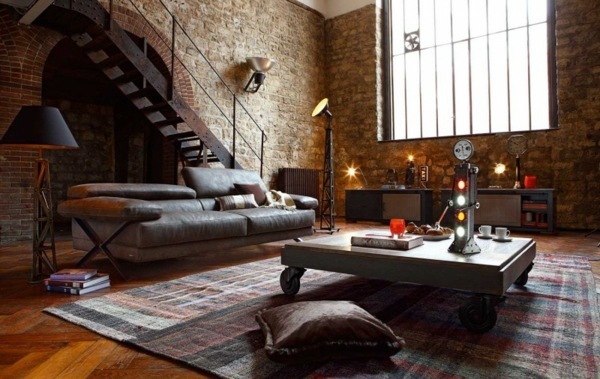 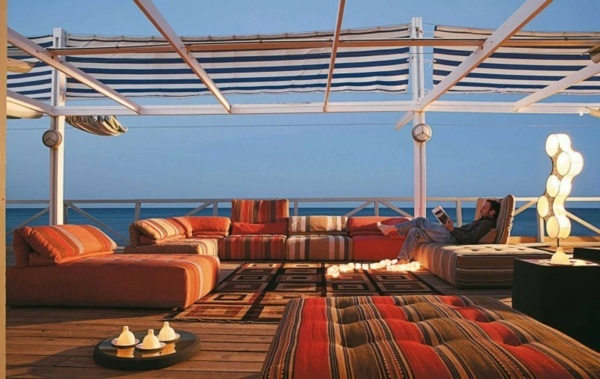 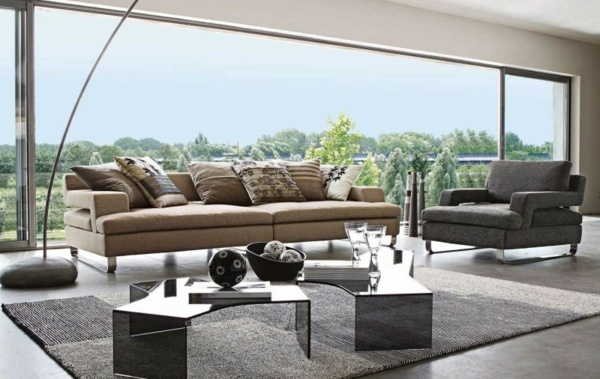 The French company Roche Bobois is known for its modern approach. 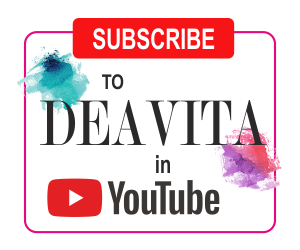 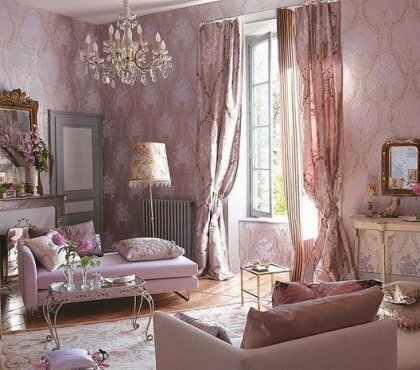 These incredible designs are created by world-famous names such as Jean-Paul Gaultier, Missoni, Philippe Bouix, Kenzo, Emmanuel Ungaro and of course, many other less known names. 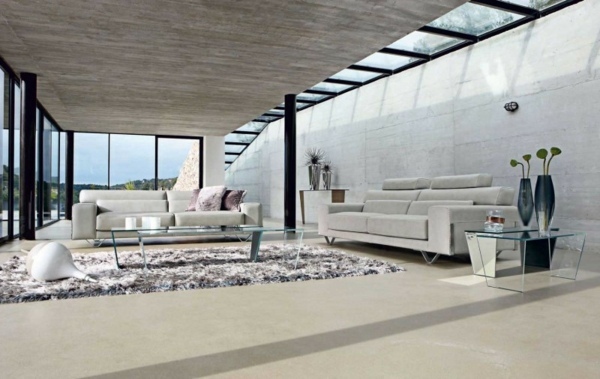 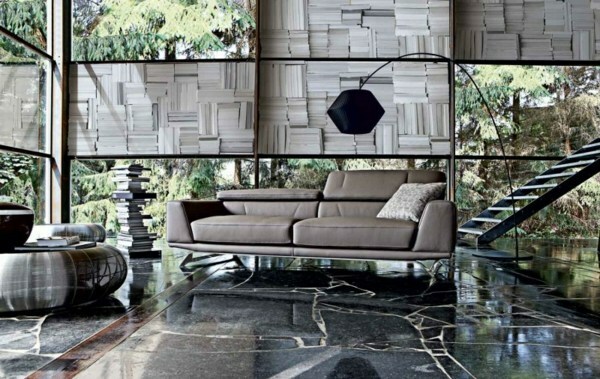 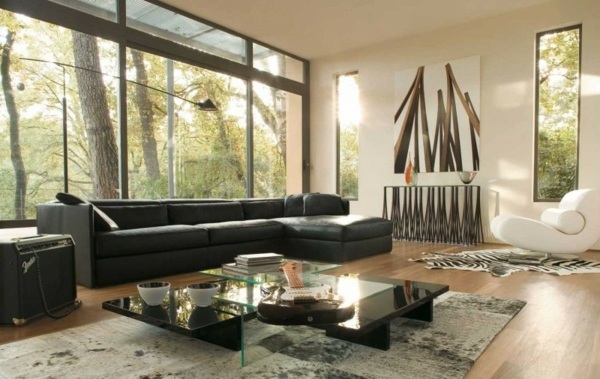 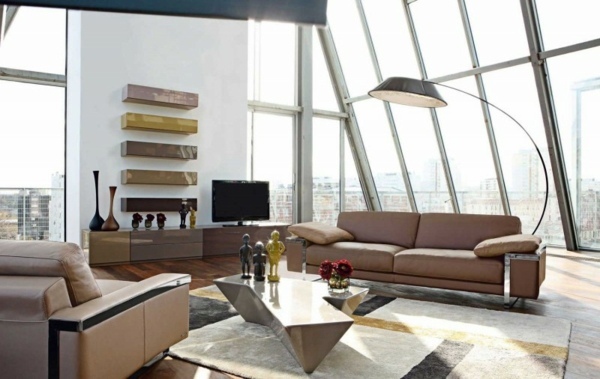 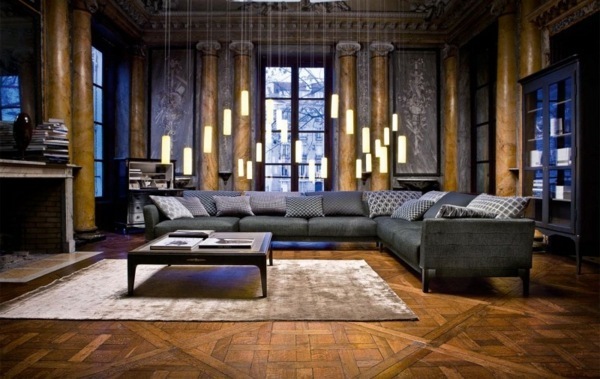 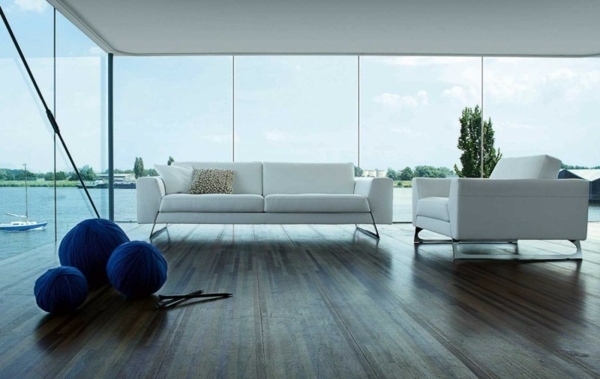 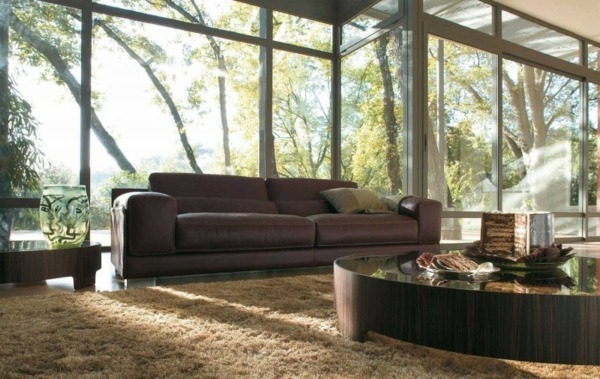 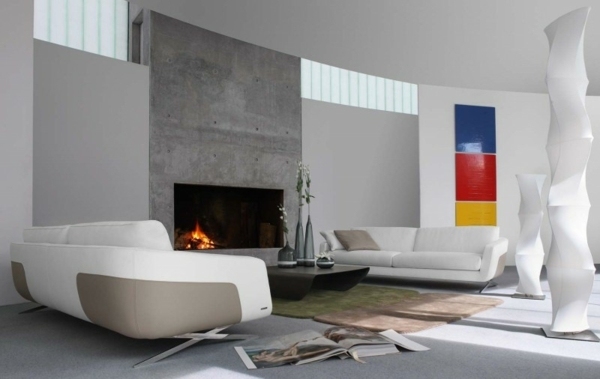 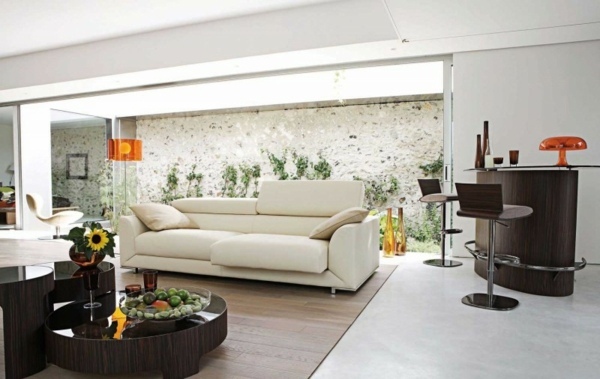 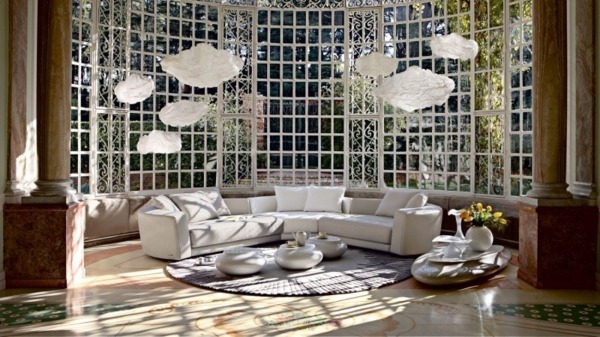 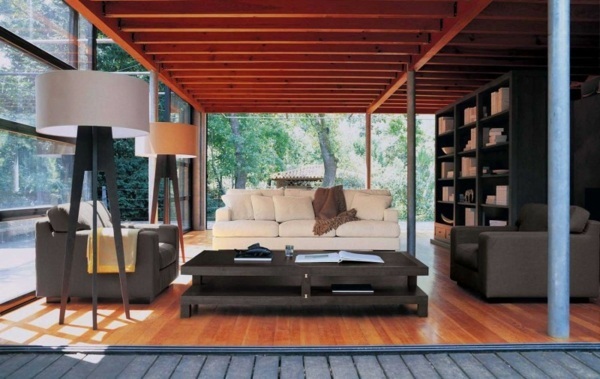 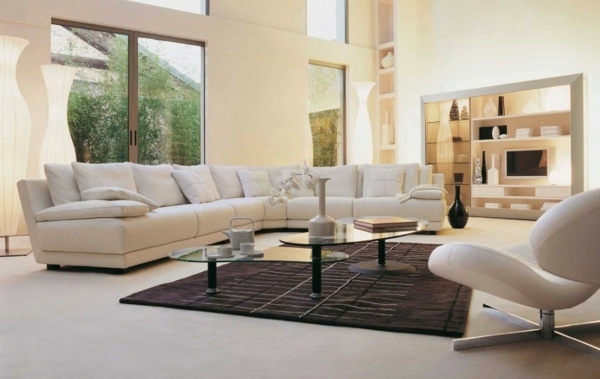 We have selected for you some of the most exciting ideas for luxurious living room furniture. 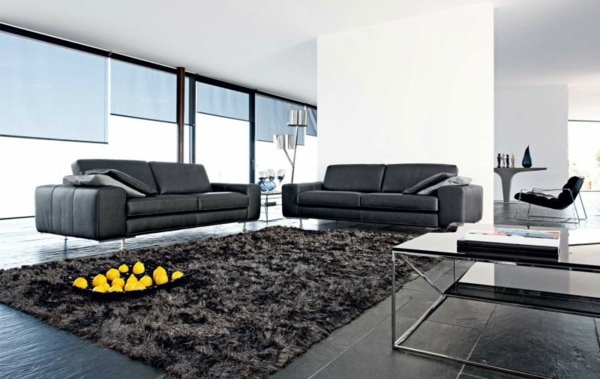 The leather couch is very popular choice for the salon. 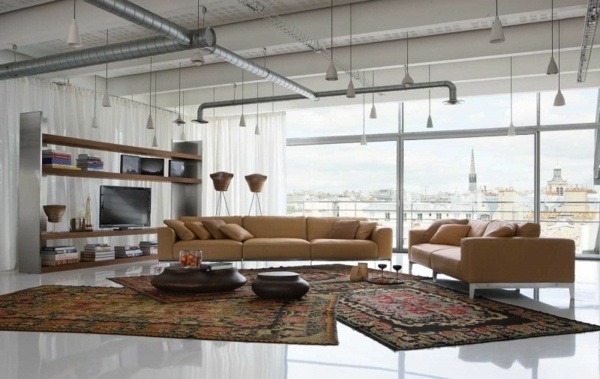 Make sure that it fits the general style. 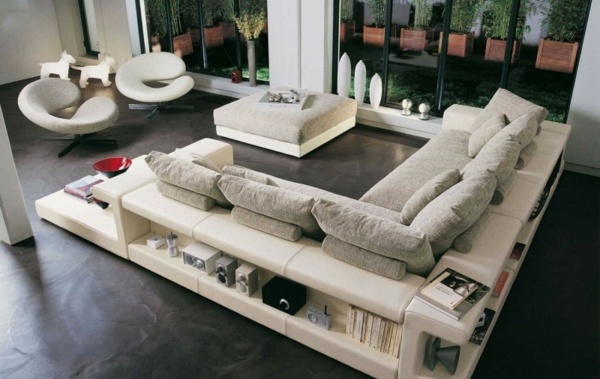 It is particularly important that it is not too large, and there is hardly any free space for movement. 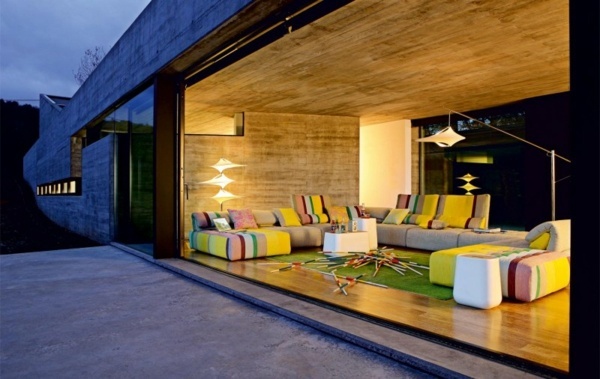 Colors, materials and shapes are also crucial and should correspond to the main concept. 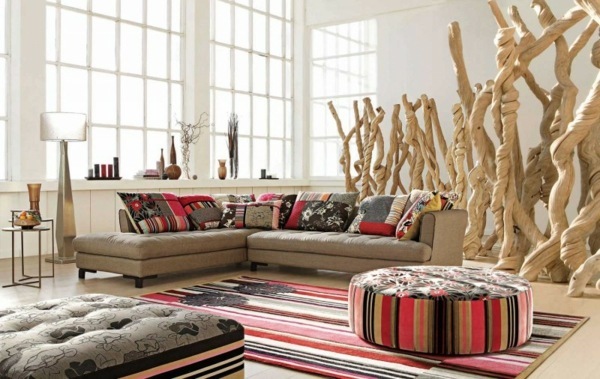 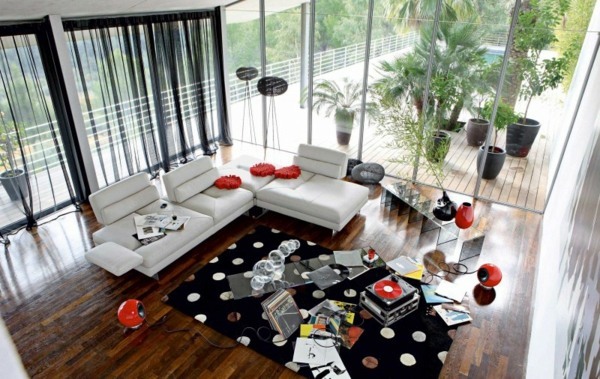 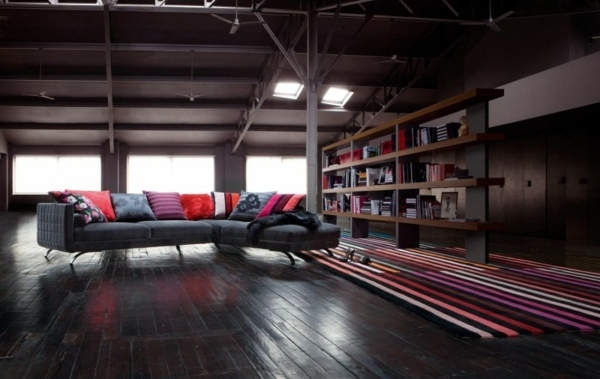 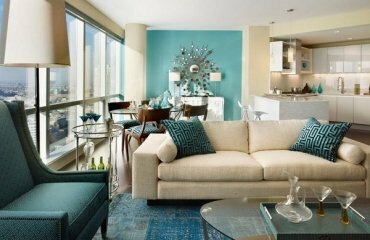 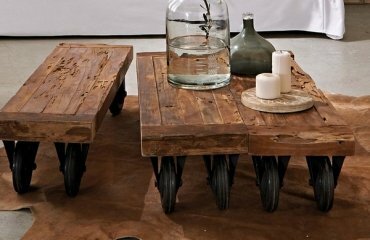 Living room furniture should reflect this as well as your personality and taste. 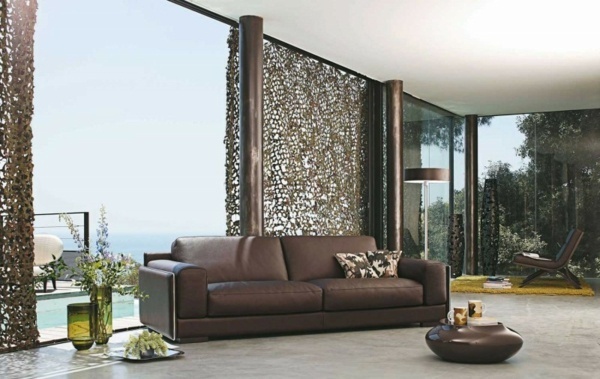 The leather divan is a symbol of luxury and glamor, it is a popular choice for the family room, for restaurants, bars and lounges. 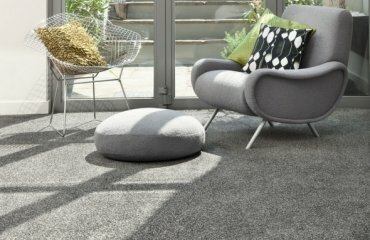 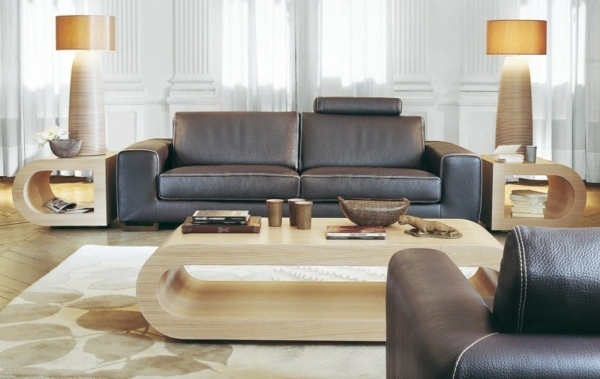 The material itself is treated as a sign of wealth and success since ancient times – that’s why, in many offices nowadays leather furniture is so popular. 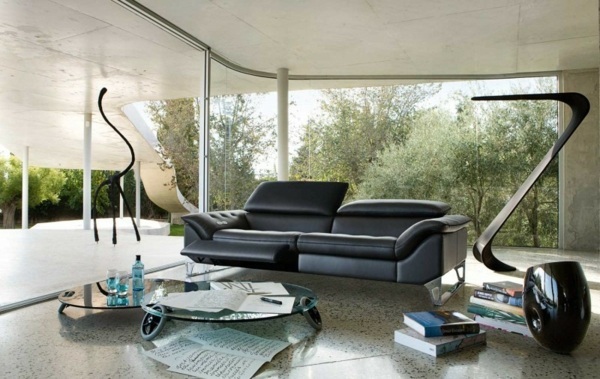 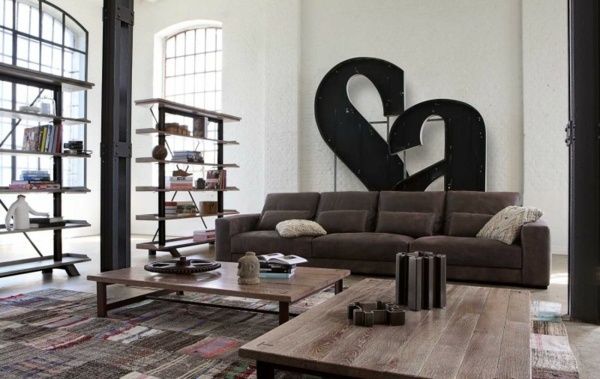 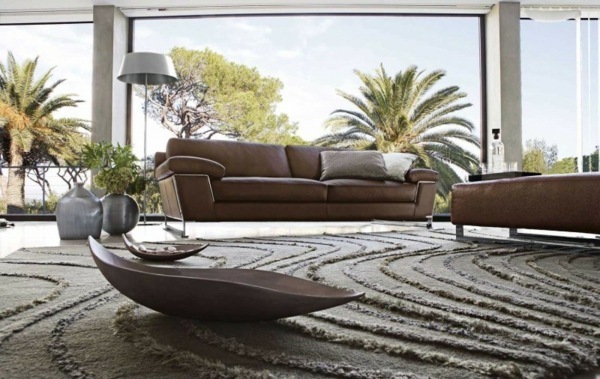 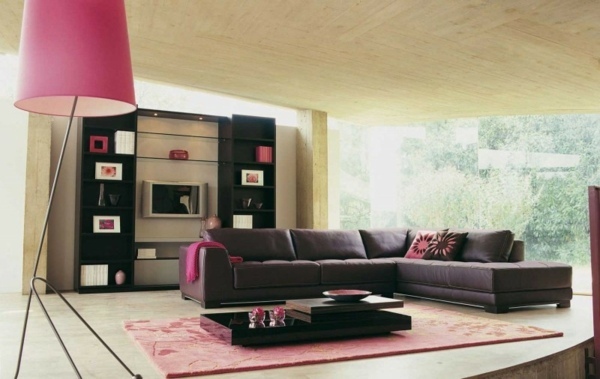 A leather sofa fits the classic style and elegant interiors and attracts everyone’s attention. 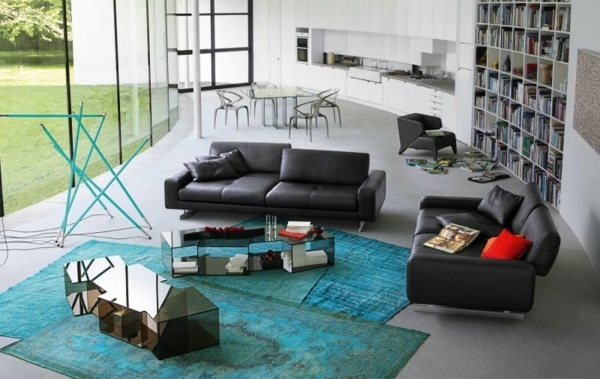 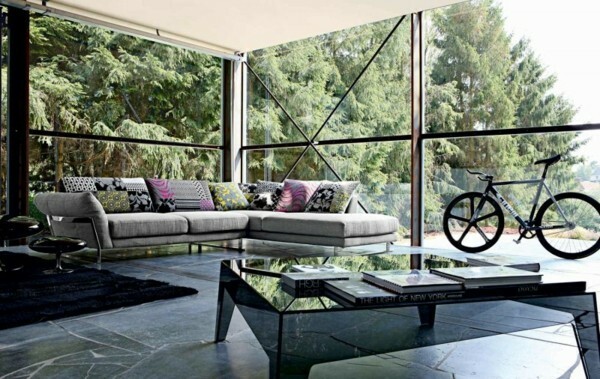 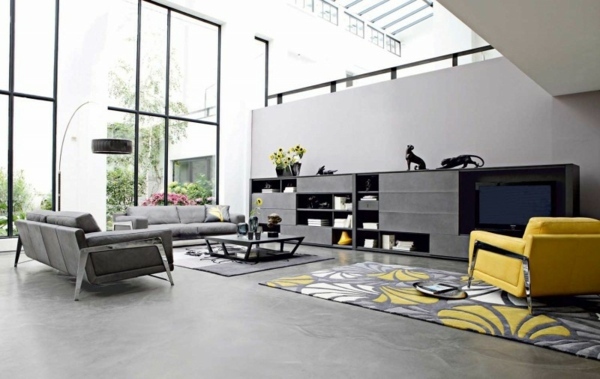 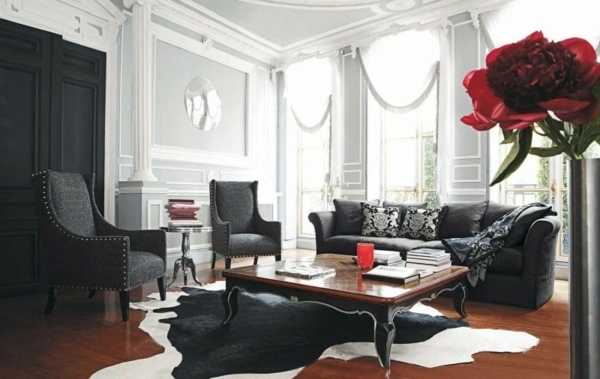 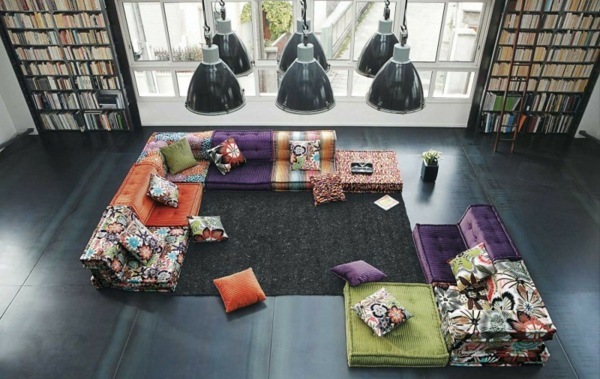 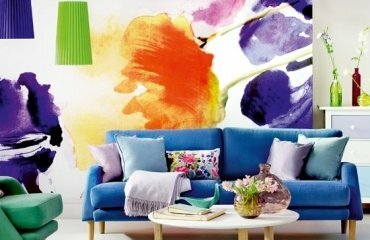 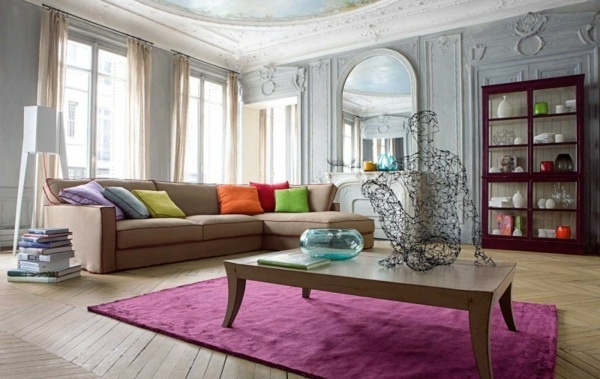 Get inspired by these excellent suggestions for living room furniture by Roche Bobois and design your own elegant space !